●There are no wall-side supports. This wood porch creates a sense of relaxation for your living area. 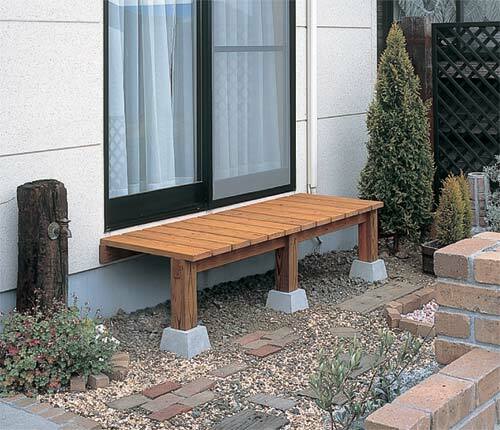 Our wood porch is designed with simplicity. This porch can be utilized as a cozy space for your family, such as basking in the sun or taking a break after gardening. ●Only the upper deck panels are made of composite wood. ■This material is made without splintering. ■The surface is slip-resistant and does not wear down easily. 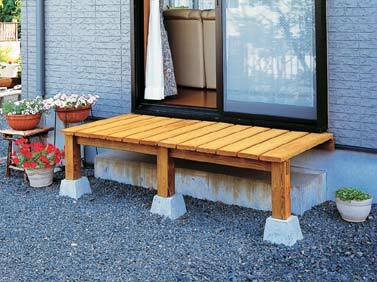 ■This deck features scratch-resistant and stain resistant material. ■The color doesn’t fade and the quality lost year after year. ●This product consists of easy DIY parts. ●It is a simplicity design that matches Western style homes. 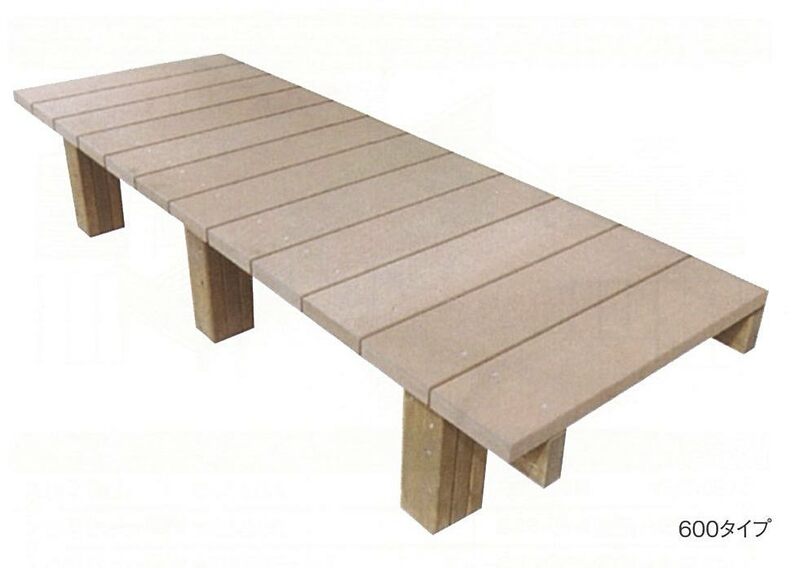 ●This deck is treated with ACQ wood preservative making it longer-lasting. ●This product is made from high quality wood that is to the pleasant touch. ●In total we have 3 colors to choose from; Pine, Maple and Brown.